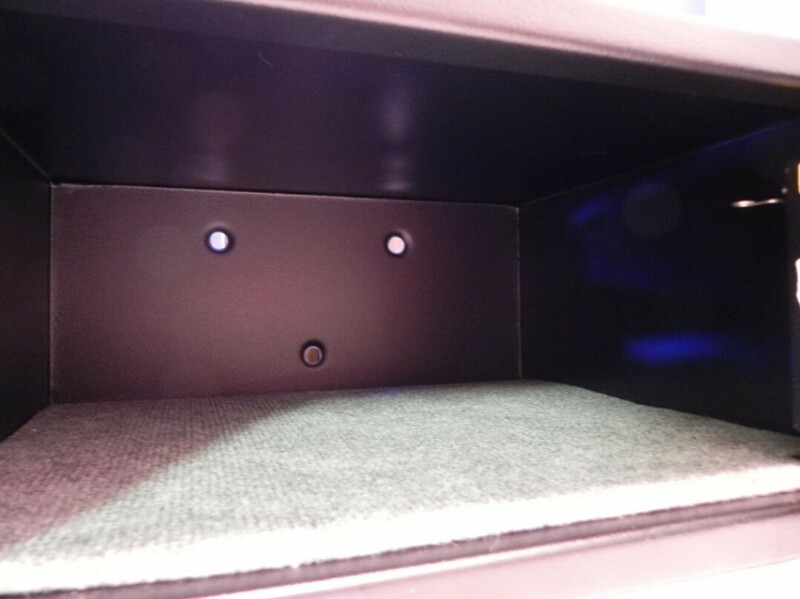 Optical technology comes into play for storing your valuables or firearms when you choose the Barska Biometric Safe. 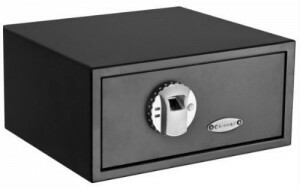 This compact but powerfully constructed safe provides the ultimate in home security for those items that you want to keep securely locked away. And yet it provides quick access whenever the need arises, and that access comes at the touch of your finger. A biometric fingerprint scanner is coded to accept only specific fingerprints, limiting access to the safe’s interior to only those people that you authorize. 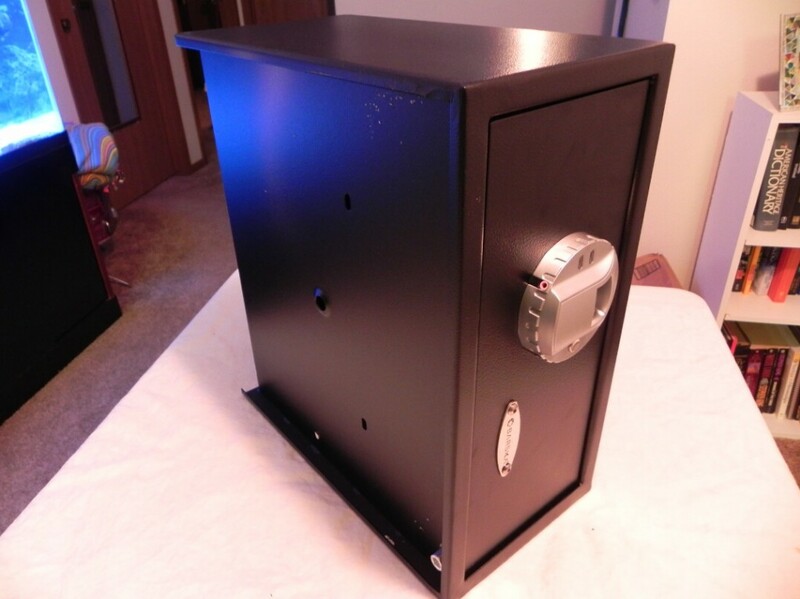 This safe can be coded to accept up to 30 unique fingerprints. That means you can code the prints of all your fingers plus those of your spouse and one other person. Or you might want to give entry access to several people, choosing the prints of specific fingers for each person. 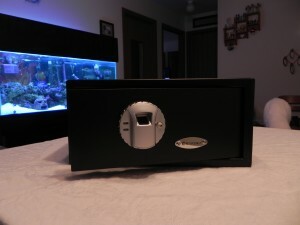 However you code it, you have control over who can open this unique safe. No unauthorized person can open it, no matter how hard they try, resulting in the ultimate security for your valuable documents, jewelry, firearms, or other items. 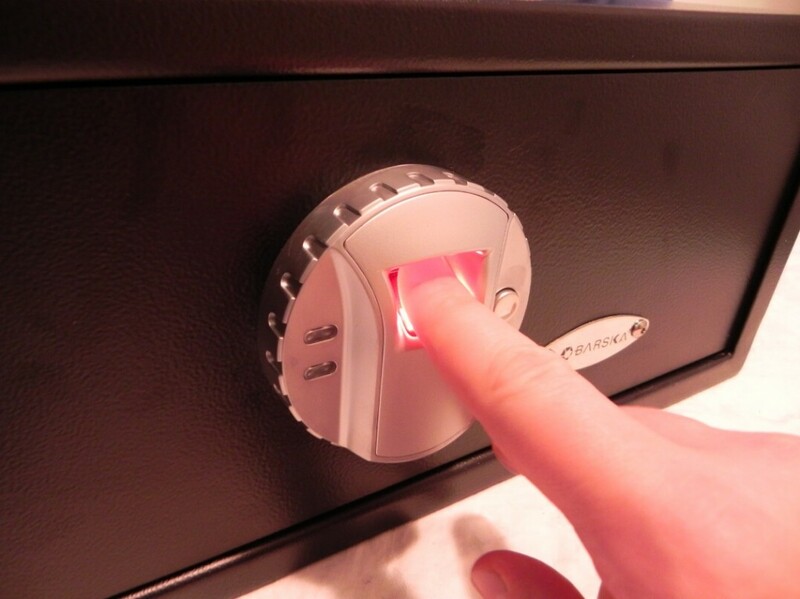 See this safe in action, we demonstrate how to open it, how to close it and how to program it. The biometric system used to code the fingerprints is easy to use, and it operates on four AA batteries. 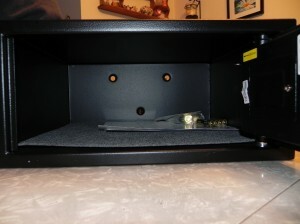 Emergency access by unauthorized people is available, too, through the two backup keys hidden behind the logo on the safe. Of course, no one knows those keys exist except you and the people you tell. The Barska Biometric Safe is lightweight, only 31 pounds, so you can easily move it where you want. 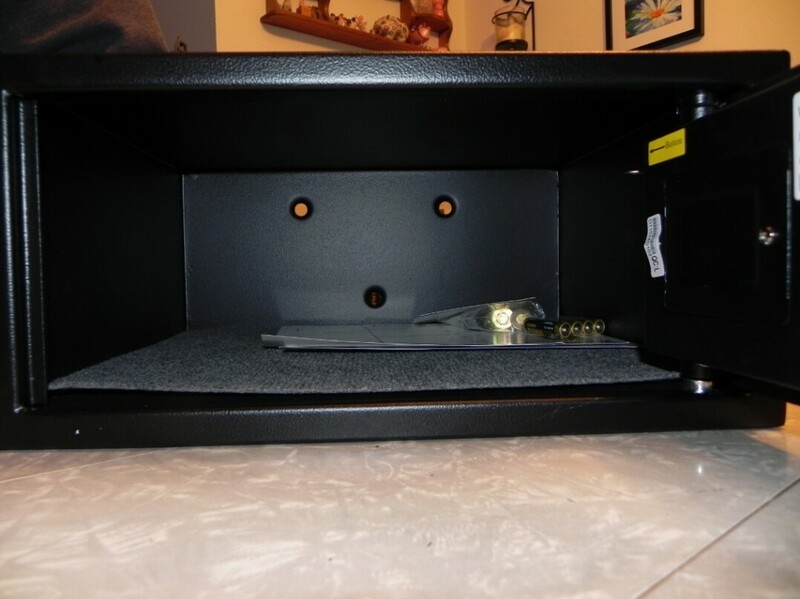 Mounting hardware is included with the safe so that you can permanently fix it inside a closet, under the stairs, inside a desk drawer, or at the back of a pantry. The exterior measures 16.5 by 7.75 by 14.5 inches (W x H x D), so it occupies a small footprint no matter where you decided to put it. The interior is roomy enough for everything you want to store there: 16.25 by 7 by 14.25 inches. 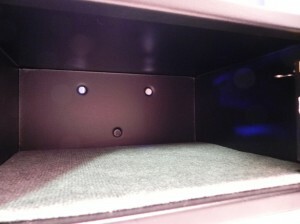 It can hold folders filled with documents, jewel cases – even laptop computers, external hard drives, or other computer media. With a pedigree that comes from a company known worldwide for its precision sport optics products such as binoculars, telescopes, and rifle scopes, the Barska Biometric Safe is constructed to exacting standards. You can rest assured that your valuables are safe inside it and that its technological features are among the best in the world. 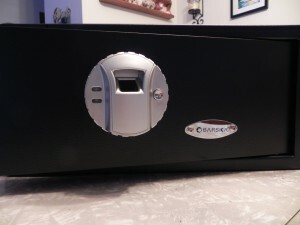 Users are impressed with the speed of access to valuables that this safe provides. Most people can open it in under five seconds. The process is simple: press the access button, place your finger on the biometric scanner and open the door. It’s quick and easy. 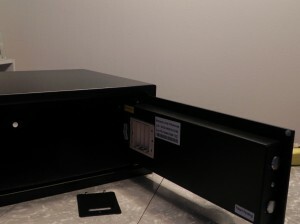 Experienced users of this safe often recommend that the thumbs be coded instead of other fingers, because the scanner seems to read thumbs more easily. We recommend that you check this safe out at Amazon. They have a killer price and lots of customer reviews. Last time we checked they also had free shipping. The pros greatly outweigh the cons of ordering this safe and installing it in your home. Security for valuables is assured, as is the ease of access to those valuables because of the quality materials used to construct the Barska Biometric Safe. The biometric scanner is easy to code and to use, but the finger must be placed precisely in order for it to be read accurately. This can cause some frustration if users angle or partly turn their fingers on the scanner pad. But that con can be eliminated by practicing opening the safe a few times to figure out exactly how to place the fingers. Because no key is needed to open this safe, it can be opened in the dark, which can be important during a threat situation. It just takes a sense of touch to locate the scanner and to position the finger. 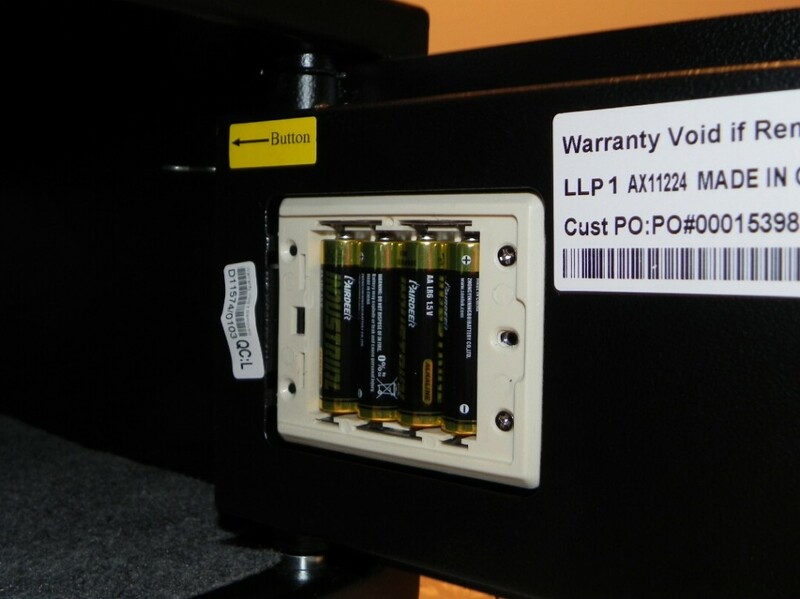 The beeper that goes off when the safe is opened can be startling but is not overly loud. In fact, that beeper can alert you to anyone attempting to open the safe without your permission. 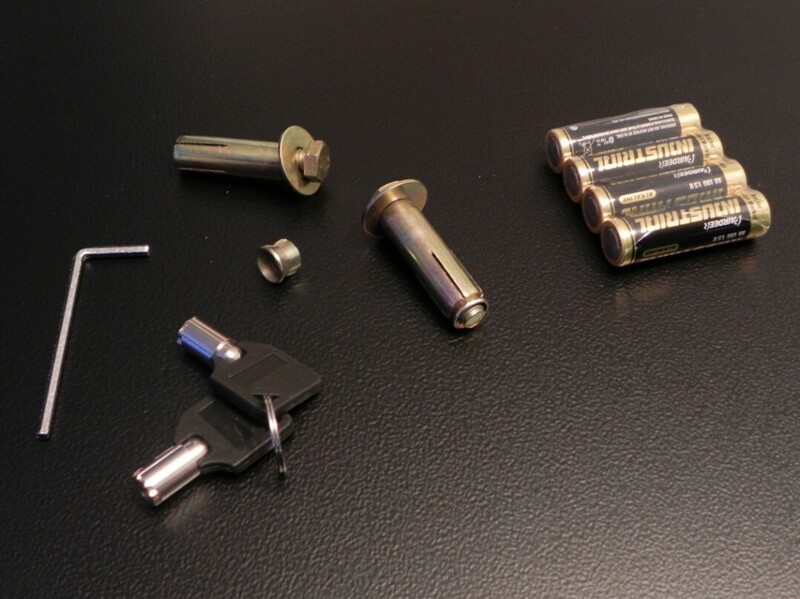 The small size makes the safe easy to carry, meaning a thief could haul it away and then take his time opening it. But bolting it down negates that issue and, with all the hardware included and pre-drilled holes in place, securing it to a permanent structure is simple. The Barska Biometric Safe is a smart buy for anyone who is considering installing a small safe in their home. Its price makes it well-suited for almost any budget and it is the right size to hold most of things you want to keep in a secure location.